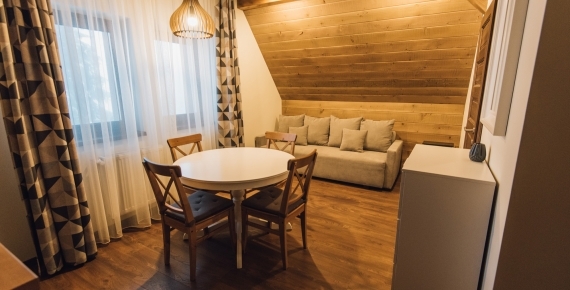 Three rooms of 4 guests and two apartments wait for you in a quiet surrounding. The purpose of our apartments is to feel create the feeling of home for our guests, as much as we can. The true home feeling is provided by the fully equipped kitchens, the dining area, the separate bathrooms and the bedrooms with television sets in them. Please consider the leisure possibilities offered by us, no matter the season. Before the “Madarasi Gyopár” Pension, there used to be the „Építők Villa”, which was built in 1982, and was used as a key ready house until the year 2014. This country house was home to a lot of good memories. 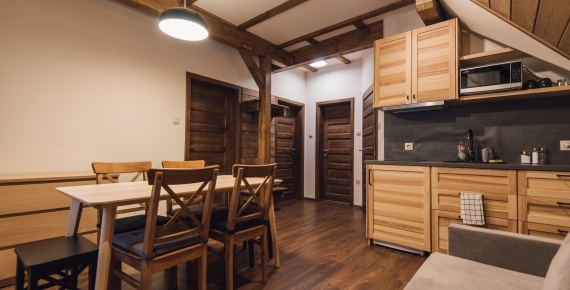 The year 2015 was the year of complete renovation, and so the building of today was born, which is now known under the name “Madarasi Gyopár” Pension. 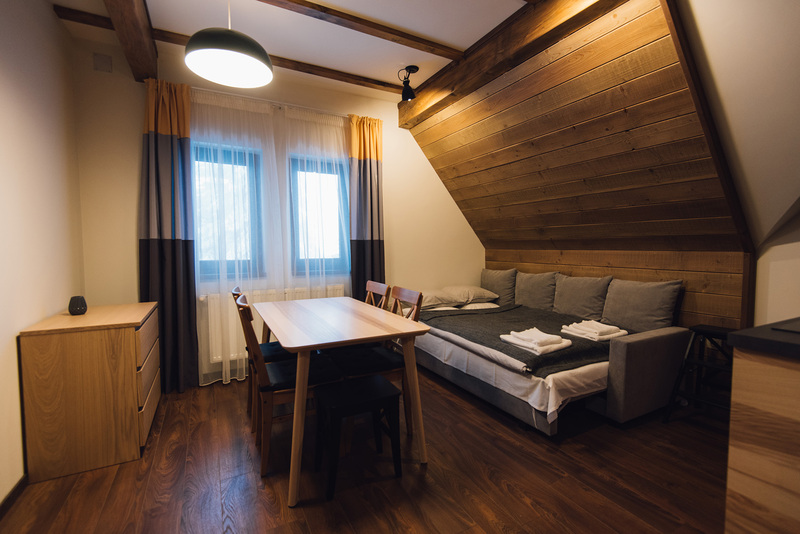 Our Pension awaits you from January 2018 with new possibilities of adventure, of relaxation and of winter sports. The location of the Pension is a lucky one, because it is at high altitude, and so the view is like from a fairy tale. 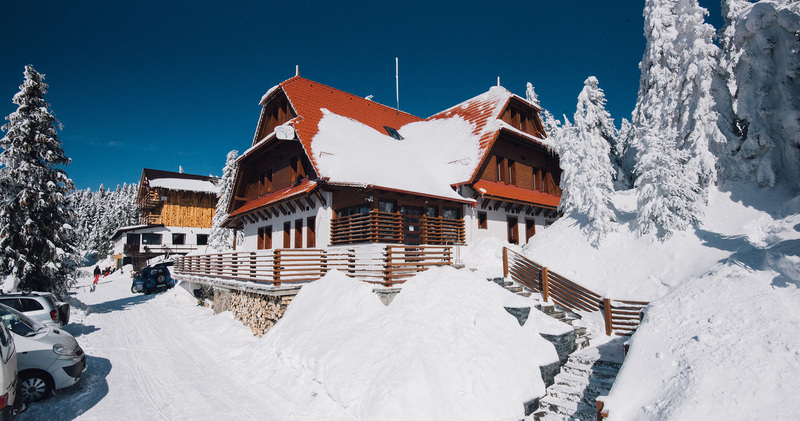 From our terrace you can see not only the ski slopes, but also the Făgăraș mountains, and in good weather you can se as far as the South Carpathians. And during the night, our guests can see the Brasov city lights from their table. 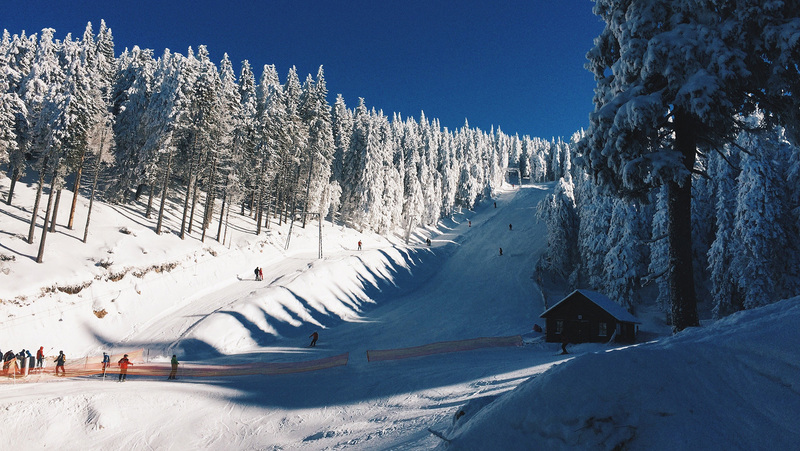 From when you get out of your car, you can already put on your ski gear, the slopes are that close to the parking lot. We welcome families, group of friends, couples who want to relax in the middle of nature, where the air is fresh and clean. The purpose of the rooms is that our guests can feel at home, and in reaching this feeling, our built in and well equipped kitchens do help, as well as our dining area and our bedrooms with a TV in them. In each apartment you can use, in case of need, the couch from the living room, which is suitable for two additional guests. The purpose of our Pension is to help as many families, people as we can to relax on the Szekler’s Saint Mountain and to offer memorable memories to each and every guest. The morning coffee and the late night drinks are best served and enjoyed on our terrace which is perfectly designed for the morning and the evening relaxation. We offer free WI FI access for our guests on the Pension’s territory. In every apartment you can find a television set. 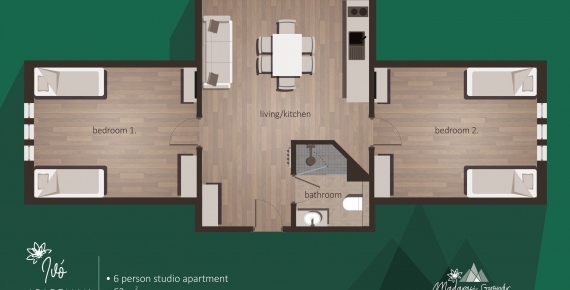 Every apartment has a spacious bathroom, furnished and designed to match every standard. The kitchens from our apartment’s are fully furnished and equipped. You will find an electric stove as well as a microwave. The morning coffee as well as the late afternoon drink can be drank here, at our Pension's bar. 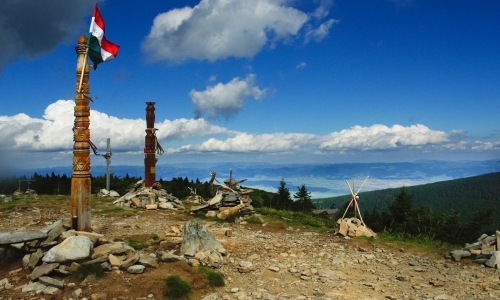 Hikers have many possibilities to visit the surroundings, such as the Madaras Hargita mountain top from Szökő, as well as a big hike to Hargita fürdő. We dearly invite you to Hargita county, on the sites that are home to a lot of cultural and natural beauty, that are known under the name The Gate to the Fairy Garden. Step by step, you will walk in legendary places, because there is a legend on almost every rock you walk by, every castle, every water…places where a long time ago giants and fairies used to live. 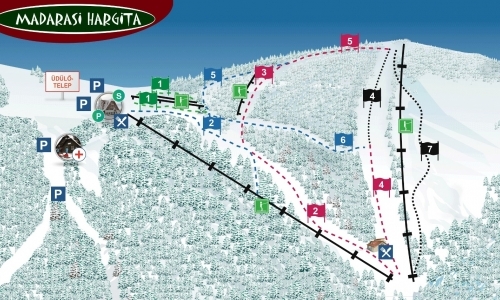 On the favorite and popular ski center from Transylvania, on the Madaras Hargita mountains, there are 6 slopes, that wait for the tourists from the area in the winter time. Contact: We hope you did find every information you needed on this page, if you have any questions that is left unanswered, please don’t hesitate to contact us!